Are you considering a job working within the customer service industry? Are you unsure about how to take that first step? Well, one option is to embark on a customer service apprenticeship. This will allow you to gain a Level 2 diploma or certificate in customer care. These qualifications can also be gained while working and earning a wage. There are many benefits to working within the customer service industry. The Institute of Customer Service states that the UK workforce includes 70 percent of workers who are involved in the customer service sector. These assets are hugely transferable and in high demand. There’s never been a better time to work in this specialist field. Below we explore the many benefits of training within the customer service world. Working in customer service is incredibly varied, but at its core is the act of the individual addressing and then attending to a customer’s needs. This may be in person or via telephone. The customer may be enquiring or need assistance with a product or service. No matter what type of service industry you will be working in, ideally you need to be polite, be able to personalise and adapt your services to each customer and to be professional at all times. If you love working with the general public, then the customer service route is well worth investigating. You may be working in a store on the help desk, or perhaps in an office environment, but no matter where you are based, you will be conversing with and helping the public. If you are an outgoing person, love to socialise and have a natural ability to keep people calm, then the customer service sector might just be right for you. The main focus of customer service is to help the individual resolve their issue. You will be the first port of call in assisting that individual. If you love to help people then customer service training will give you this opportunity. You’ll also be able to build upon your existing knowledge. Ultimately, you’ll have wonderful work satisfaction in knowing that you helped to resolve a problem. It’s a common misconception that working as a customer service employee is a lonely job. Although you will be dealing with a customer on an individual basis, you will need to collaborate with other members of the team to resolve any issues. As a member of the customer service team, you will be well supported and be able to learn from experienced members of staff. So, you really do get the best of both worlds. The skills that you learn during a customer service apprenticeship are hugely transferable. What you learn can be applied to a wide range of work opportunities, such as working in a supermarket, local gym or hotel. These techniques include learning to problem solve, thinking on your feet, managing workloads and liaising and collaborating with colleagues. Embarking upon a customer service apprenticeship is a great way to kick-start your career. You’ll be learning on the job, gaining qualifications and earning while you learn. It’s also a wonderful way to progress through the ranks. You’ll be able to set your sights on a team leader role, all the way through to even becoming a customer service manager. The world really is your oyster. 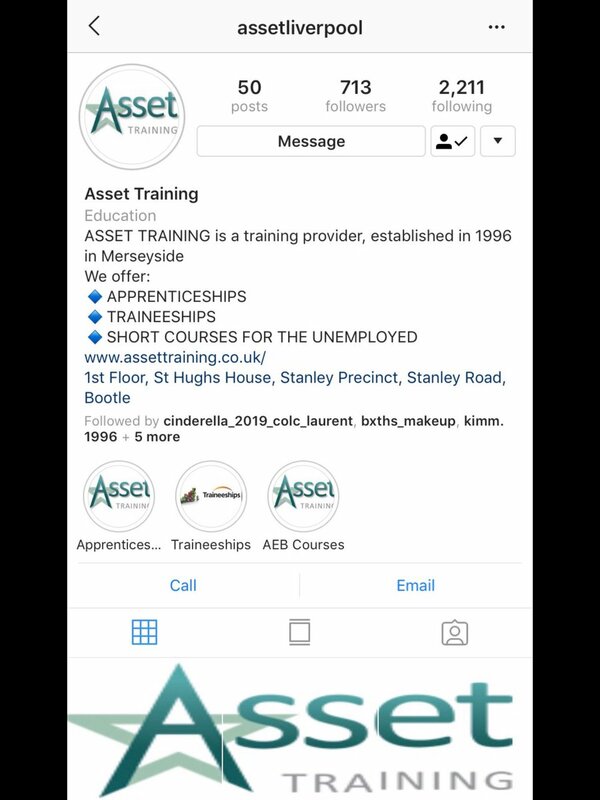 To find out about how you can embark upon a Customer service level 2 certificate, or a Customer service level 3 diploma, here in the North West with Asset Training, then please do get in touch with us today.